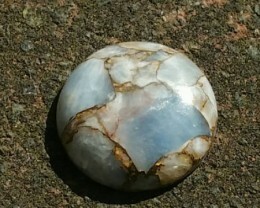 24mm round by 5.5mm deep. 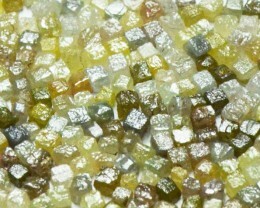 Our selection of faceted Oceasn Jasper is gem grade quality. It is the absolute best rough we could find. 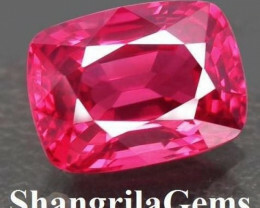 I think these stones are special and they should be set with Sapphires and Diamonds as they are so beautiful! 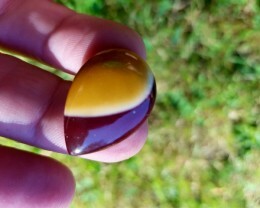 Wonderful Ocean Jasper cabochon from Madagascar. 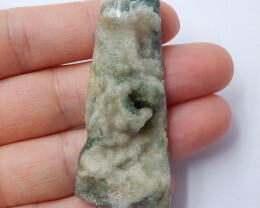 Ocean Jasper is now dug out and the are of the mine has been sold for drilling oil and developing a hotel. 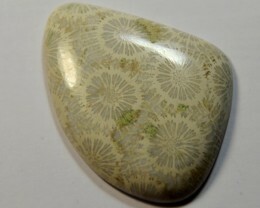 Healing Properties of Ocean Jasper: Ocean Jasper is very soothing and increases our ability to love ourselves and others. It brings about patience, stability and peace of mind. It helps with acceptance of responsibilities. 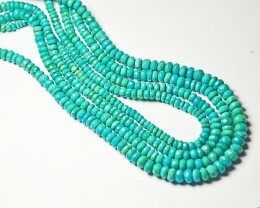 Jaspers generally are protective stones, and any orbs ("eyes") in the stone enhance protection. 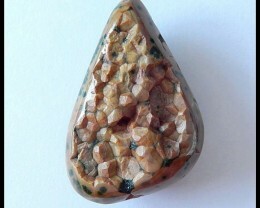 Physically, ocean jasper is beneficial to the digestion, digestive organs, removing toxins, lessen body smells. 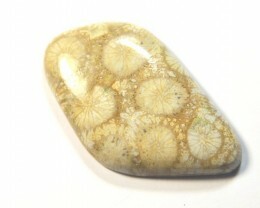 Ocean Jasper is related to the heart chakra.